There are following steps to purchase book(s). 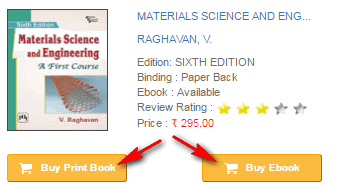 Add the book to the shopping cart as shown in the image given below. Click the shopping cart icon appearing on the top navigation bar as shown in the image given below. 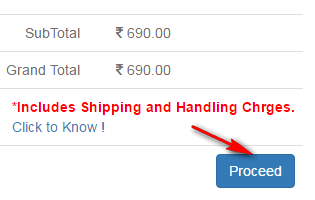 Now, the item(s) you have added to cart will be listed, click continue button as shown in the image given below. Now, you can login as a phi bookclub member, if you are. Otherwise click not a member button as shown in the image given below. 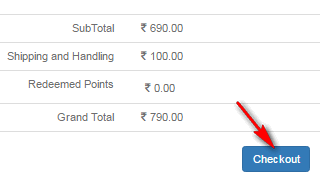 Now, you will have to fill your personal details, and click the Deliver Here button as shown in the image given below. Now, your order summary will be shown, click the Checkout button to go for payment options as shown in the image given below. Now, you will have the following payment options, click the Continue button to complete your payment as shown in the image given below.